Yahoo CEO Marissa Mayer took home a pay package of nearly $6 million for her first year on the job. In addition to a salary of close to half a million dollars, Mayer received a $1.1 million cash bonus and $4.3 million in stock, according to regulatory documents filed on Tuesday. Mayer was named Yahoo's CEO in July 2012, so her pay package worked out to about $1 million a month. If she sticks around the new job for another four years, she will make a whole lot more: Mayer's compensation package is worth at least $71 million through 2017. 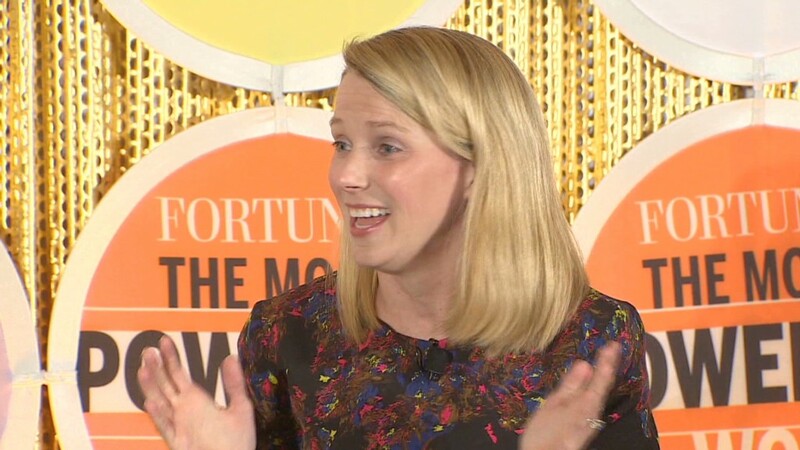 It could top $120 million if an extra batch of stock grants that she is eligible for comes through -- or even more if Yahoo's share price continues to rise, since most of the package is paid in stock. In the nine months since Mayer took the reins, Yahoo (YHOO) shares have soared by more than 50%. Yahoo was willing to shell out such a huge sum of money in hopes that snagging the former Google exec could turn the company around. It paid past CEOs generously as well: Scott Thompson was promised a first-year pay package of as much as $26 million before he ended up leaving without severance due to a resume scandal. Mayer's pay package compares favorably to some rival CEOs. Google (GOOG) CEO Larry Page made just $1 last year, Microsoft's (MSFT) Steve Ballmer took home $1.3 million, and Apple's (AAPL) Tim Cook earned $4.2 million in 2012. But she was not the top-paid tech CEO. That distinction went, as it usually does, to Oracle (ORCL) CEO Larry Ellison, who brought home $96.2 million last year. EBay's (EBAY) John Donahoe made $29.7 million, and both AT&T's (T) Randall Stephenson and Qualcomm's (QCOM) Paul Jacobs made $21 million. Yahoo company has undergone a major cultural sea change under Mayer. She has offered several well-publicized perks, including free food, free iPhones and extended maternity leave. A decision to scale back telecommuting proved less popular. Mayer also recently unveiled a new homepage, a redesigned Yahoo Mail and a refreshed Flickr service. All were designed to get Internet consumers' thinking about Yahoo again and increase user engagement. But none of those changes have yet translated into financial success. Two weeks ago, Yahoo reported lousy first-quarter sales and a downbeat outlook.